When you come to North Carolina in search of your first waterfall, you may just stumble upon 350 of them. 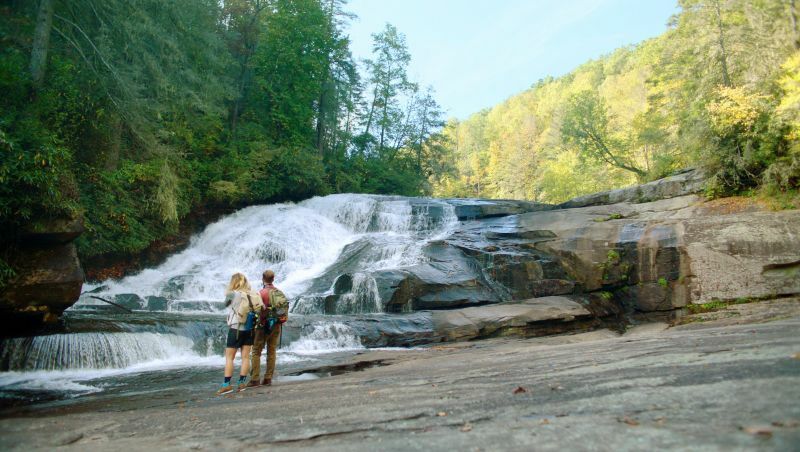 Andrea and Chris, a real-life husband and wife, came to North Carolina to see their first waterfall, a feat in and of itself for parents who had never taken a vacation for two. But they didn’t just find a waterfall. 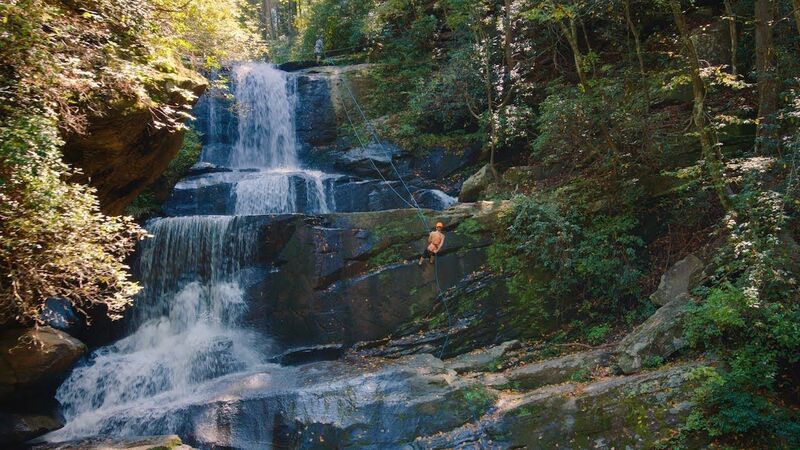 They rappelled across, slid down and hiked among hundreds of them, exploring miles of expertly preserved lands that make up North Carolina’s Brevard and Saluda areas. From conquering heights from the tops of waterfalls to conquering flights at the local breweries, Chris and Andrea found plenty of memorable firsts in the mountains of North Carolina. Check out the stops on their journey to learn more and start discovering firsts of your own. Please use caution and obey all rules and warnings. The rocks around waterfalls are often slippery, and the currents can be strong. Dropping 120 feet in three separate cascades, Triple Falls serve as a gorgeous introduction to the Brevard region’s waterfalls. A well-worn trail offers views of Triple Falls, High Falls and more. Triple Falls was Chris and Andrea’s first waterfall viewing experience, but there were plenty more to come, as the trail they followed passes by several more along the way. This trail takes hikers underneath Bridal Veil Falls and is an accessible, not-too-strenuous loop that stretches a little over four miles. The area offers many opportunities to stop for a picnic lunch for those who pack provisions. Bring your furry friend – leashed dogs are allowed on this trail. 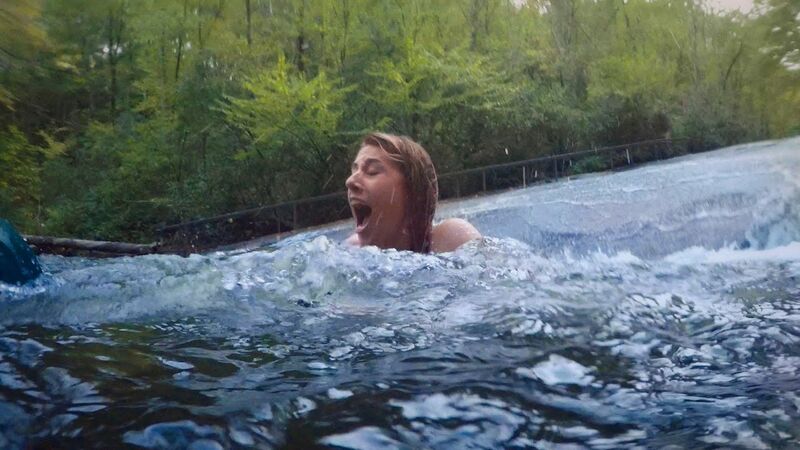 There are two excellent ways to experience Sliding Rock: Put on your suit and let loose as you slide toward the natural pool below, or experience the true joy of watching others get wet from the spectator area. Sliding down Sliding Rock is a seasonal activity, but know no matter the season, chilly water is part of the fun. And don’t forget a pair of old shorts for over your suit. Chris and Andrea made this bed and breakfast homebase for their mountain travels and enjoyed stunning natural grounds and a three-course breakfast to kickstart each day. If you let the proprietor know what kind of music you like ahead of time, it will be playing in your room upon arrival to set the mood for your stay. 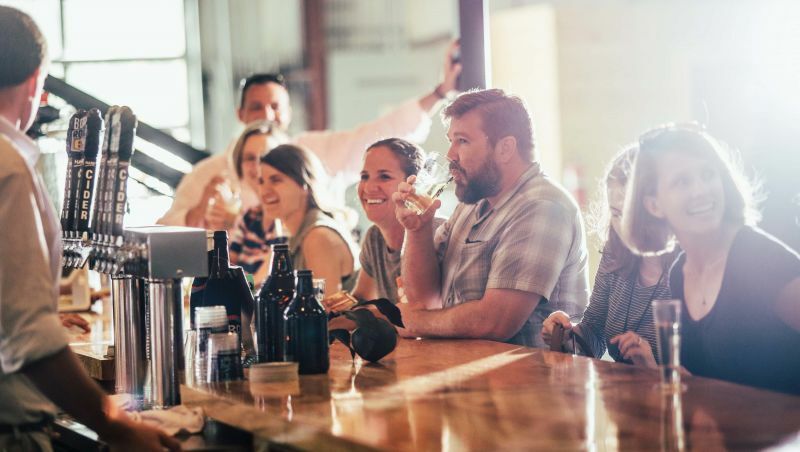 Cider here is crafted from local Henderson County apples, and visitors like Chris and Andrea can learn more about the process on one of Bold Rock’s complimentary tours on Saturdays and Sundays. If you’re planning to eat as well as drink, you won’t be disappointed by the on-site food truck fare. But make sure to check the truck’s hours, as they can differ from the Cidery’s. 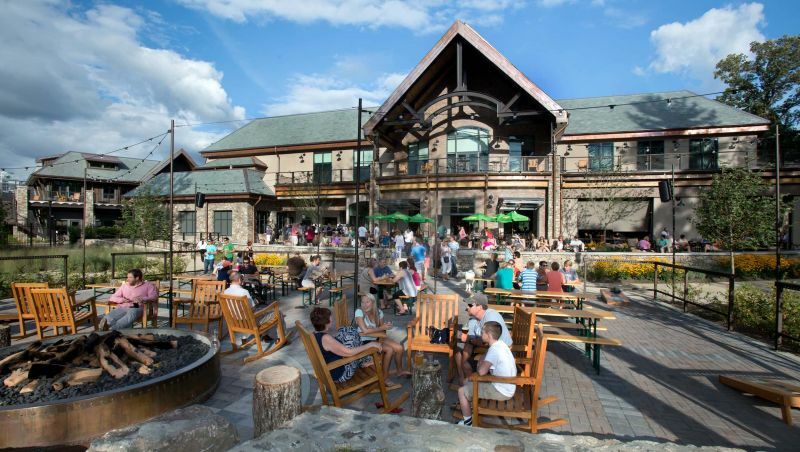 A popular stop for many travelers en route to Asheville, Sierra Nevada captures the larger-than-life, brauhaus feel of a German beer hall with about 20 brews on tap and food that’s worth writing home about. Sierra Nevada can fill up quickly – really quickly. Arrive on the (very) early end of opening hours if you want to be sure to avoid the lines. 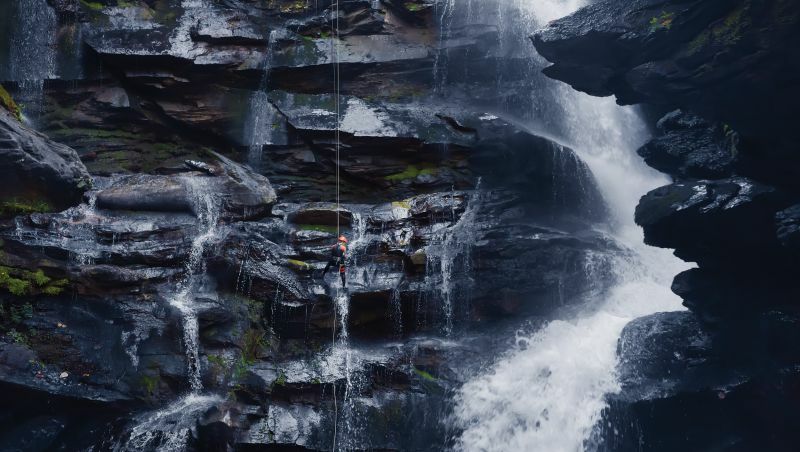 If 70-foot heights aren’t tall enough for you, consider a rappelling adventure at Big Bradley Falls. It sits 200 feet tall, and that’s not counting the 30-foot vertical rock wall you have to rappel down before you start. Big Bradley Falls is inaccessible without a guide. Visitors may only rappel down the falls on a guided tour with Green River Adventures, which also offers a Waterfall Trek for a full day of canyoneering. Chris and Andrea experienced the thrill of rappelling down waterfalls while on a safe, guided tour with Green River Adventures. Little Bradley Falls is a great waterfall for beginners, though at 70 feet tall, it’s nothing to scoff at. Andrea rappelled down her first waterfall despite being afraid of heights. In fact, she and Chris had just recently joined a rock climbing gym to help try and conquer her fear. Little Bradley Falls is inaccessible without a guide. Visitors may only rappel down the falls on a guided tour with Green River Adventures. 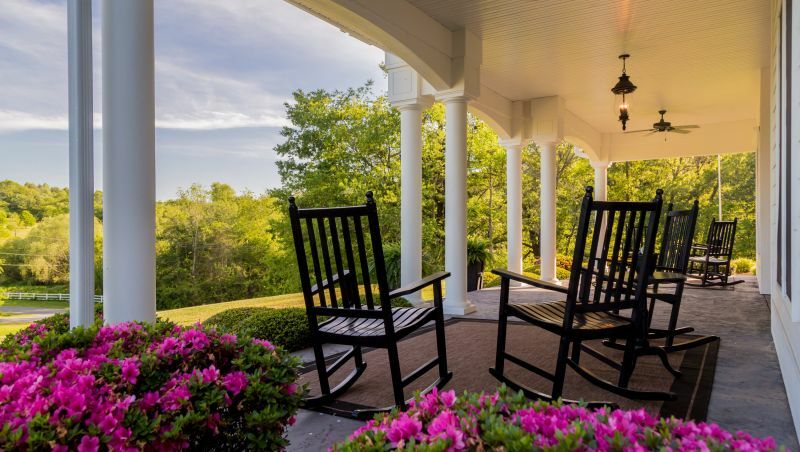 Looking for more things to do in North Carolina’s mountains? The region boasts an abundance of iconic natural beauty, award-winning breweries and time-honored heritage. Whether you’re in search of well-worn trails or unbeaten paths, you’ll find them here. Explore the region to learn more.